As an authorised dealer for CFMoto, Kymco, Landboss, Sherco, SWM, Royal Enfield and YCF, we can provide full servicing for each and everyone of these brands. We also provide warranty service for all of these brands. We also provide a full service and repair facility for all other brands. Genuine parts are used, or if you are on a budget, we are happy to source high quality non-genuine parts for your vehicle. 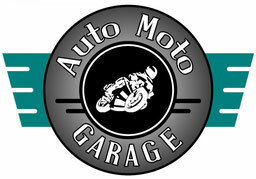 We are currently agents for Australian Motorcycle Finance and SKYE. Quotes and applications can be completed on the spot, allowing you to compare rates and repayments. As agents for Mi-Bike Motorcycle Insurance, THiS Dirt Bike Insurance and THiS Road Bike Insurance, we have your motorcycle insurance needs covered. We are happy to provide you with insurance quotes, or can add insurance to your finance quote or application.